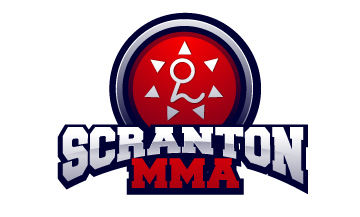 On Saturday, December 17th, 2011 Scranton MMA was host to the third installment of Bragging Rights; a no time limit, submission only grappling tournament. This style of tournament is the truest test of grappling skill! By taking away time limits and a points system technique becomes the focus of the competition – lay and pray tactics, points playing, stalling, and the race to one is eliminated thus ensuring whomever has the best technique will outlast, outwit, and defeat each opponent faced. In addition to the no time limit submission victory only format the tournament was a true double elimination event with limited number of weight classes. Competitors from all over NEPA converged to test their grappling mettle and the matches did not disappoint; highlight reel throws, exciting comebacks, upset victories, fast finishes, and wars of attrition all were a parts of the day! There were far too many matches in the day to recount each and every one so we have provided the division results along with a brief synopsis below. All said and done Bragging Rights 3 was a huge success. Women’s Open Weight Division – In the finals Jamie Rickard met Jen Williams. Jamie had submitted her way into the final round while Jen Williams, forced into the losers bracket in round one by Jamie battled her way back into the finals. Under the rules of true double elimination Jen would need to defeat Jamie in two consecutive matches in order to win the division – and that is exactly what she did by capturing two consecutive submission victories via entangled armlock from kesa gatame. Congratulations Jen! Teens Open Weight Division – In the finals Tyler Mooney met Frank Flores. Tyler had submitted his way into the finals while Frank had to work his way through the losers bracket in order to reach the final round. As in the women’s open weight the winner of the losers bracket would need two consecutive submission victories in order to win the division. Despite his best efforts however Frank was unable to make this happen as Tyler Mooney secured a vicious knee on sternum hold to force the tap and win his division. Congratulations Tyler! White Belt Under 200lbs – In the finals Rico Mancino and Vito Picozzo collided. Both competitors had decimated the division to reach the finals without losses. Therefore it was one match between the two undefeated competitors to determine the champion. In an exciting back and forth battle Rico was able to eventually secure solid cross body control and lock up a key lock for the submission victory. Congratulations Rico! White Belt Over 200lbs. – In the finals Mike Peragallo faced off against Dave Makowski . This match proved to be one of the surprising upsets of the day – not because of a difference in technical skill but because in the previous round Mike Peragallo endured a 90 minute battle with his brother Stephen Peragallo! It was a foregone conclusion to everyone in attendance that Mike was “done” however in true Gracie Jiu Jitsu fashion Mike outlasted his opponents attacks with a tight defense, worked his way to a dominant position, and secured the submission victory via rear naked choke . Awesome job Mike! Blue Belt Under 200lbs. – In the finals Juan Alvirena squared off against Paul Kunkel. Juan had submitted his way straight through to the final round while Paul had been forced into the losers bracket and forced to battle back to the finals. in a pitched battle Juan little by little gained steamed and began to impose his skill on Paul eventually setting up a knee bar victory from halfguard. Juan looked great both standing and on the ground and will no doubt be joining the ranks of purple belt very soon. Congratulations Juan! Blue Belt Over 200lbs. – In the finals Eric Vazquez met John Meyers. Eric scored a quick takedown to guard pass securing cross side position from where he worked a keylock. Once locked on John had no choice but to submit. Congratulations Eric! Purple Belt Open Weight – The finals of this division came down to Gary Peters and Frank Alogna. This was a fast paced match that saw a ton of transitions both standing and ground with both competitors gaining and losing momentum during the match. During one scramble Frank came up with a tight triangle from guard. Peters did his best to defend but in the end was forced to tap. Excellent work by both men. Congratulations Frank! Once the champions in each division were determined a few exhibition matches were held to entertain the crowd. Jen Williams (woman’s champion) v. Tyler Mooney (teens champion) This was a fun exhibition with a lot of exciting action from start to finish. After six minutes of action Mooney secured an armlock for the submission victory. Mike Peragallo (white belt 200 plus champion) v Rico Mancino (white belt under 200 champion) The second exhibition match of the day was another great one. Mike and Rico went to the mat for near 8 minutes before Rico finally secured a tight keylock from cross side to obtain the victory. Eric Vazquez (blue belt 200 plus champion) v Juan Alverina (blue belt under 200 champion) This third exhibition match was a technical marathon as Juan used a superior technical skill set against a much larger Vazquez. To Eric’s credit he used a sound strategy of slow the game down and progress through the positional hierarchy – with this strategy Vazquez after 15 minutes secured an armlock victory. Frank Alogna (purple belt open champion) v Jeff Reese (lead Gracie Jiu Jitsu instructor at Scranton MMA) The final exhibition match of the day came as a surprise to everyone as it was called, both competitors took to the mat with smiles. A quick hand shake and things were under way. As Alogna went for an armdrag, Jeff hand slipped into a cross collar grip. Sensing danger Alogna tried pulling guard. Jeff quickly cut pass to a modified cross side position as he sunk in a tight cross collar choke. Seconds later Frank was forced to tap. It was a great third installment of Bragging Rights! We will keep you posted on the next installment slated for Spring 2012!